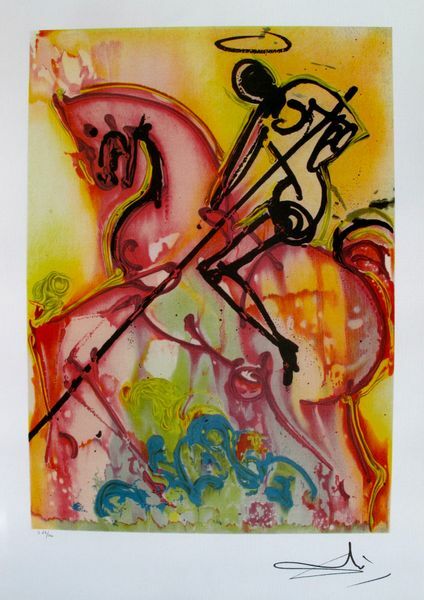 This is a Salvador Dali lithograph print titled "ST. GEORGE AND THE DRAGON" from the Dalinean Horse Suite. 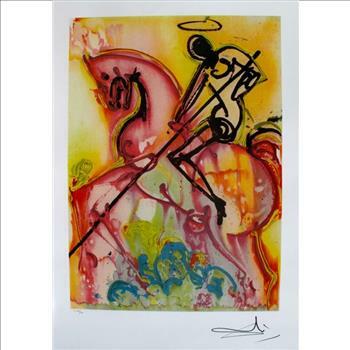 This piece has a Dali plate signed signature on the lower right. Image measures 16" x 11¾" on 22" x 14½" paper. Made on thick quality archival arches paper. Comes with a certificate of authenticity. In mint condition!